It was our Easter family lunch on Easter Sunday. This place has nice ambiance and food was okay. Were kind enough to re-order these two dishes for free. If you’re ordering these two dishes make sure you ask them to be lightly salted. We came for Easter on a last minute whim. It was really good. Service was excellent and the food was great. 2 kids and 4 adults had no issues ordering what they wanted. We sat outside because it was a little noisy inside but that was a great experience! Delicious weekend brunch at a very good value. Two outside patios are available for dining and the inside bar and main dining hall are very attractive. Service is very good and the General Manager Tara is outstanding. The main menu is a very good selection at typical prices. The large bar is great for happy hour. One the better happy hour menu's and drinks options I have found. Great food and service. We loved it, and we will be back for brunch again. I went to a 6PM dinner on April 20, 2019. I went to the men’s room and they had no paper towels. When I informed management they said “they knew, but had no more paper towels and sent an employee to the store to buy some more”. This is an inexcusable management deficiency and probably a health code violation . I will not go back to this establishment. We were having drinks (which were good & very reasonably priced compared to other places) & appetizers, told our waitress we were in no hurry, we ordered 2nd drinks & our meal which seemed to take longer than expected to get. I think our waitress had a large party to wait on & other people as well, so didn’t see too much of her after placing our orders. There must’ve been some kind of computer glitch, because they had to ask how much the gift cards were worth (?) & when giving an email offer for a free appetizer they couldn’t find my account in their system ? Was just a little uncomfortable for our group. Overall a very good meal, look forward to eating there again. 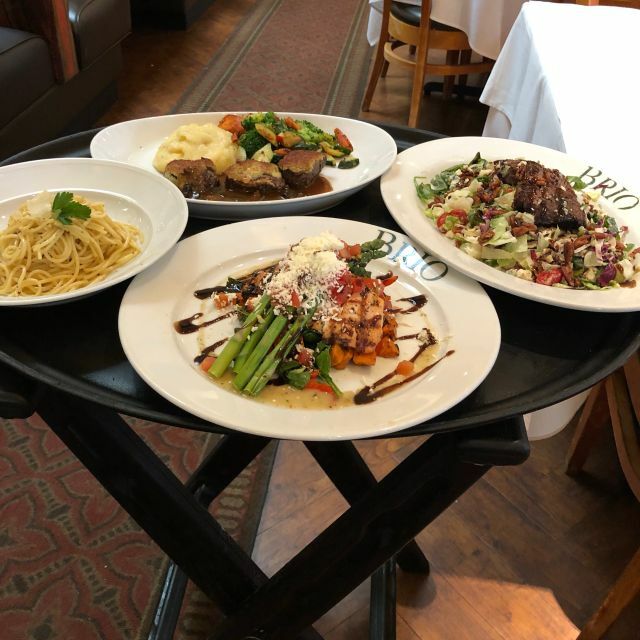 We have 8 women that dine at Brio’s once a month. Food always great and service is excellent. Sitting outside is wonderful and we always enjoy the food and ambiance. The inside is very pretty but so loud that we can’t hear one another. It seems that all the restaurants have a huge noise level. I don’t know why when building they don’t take that into consideration. I usually enjoy this restaurant, but I have to say our experience this past Saturday has me reconsidering my opinion. We had a table of 6, no water was brought out, the waiter asked what we wanted to drink and I asked for water until we decided on anything else. Two water glasses were brought out. When we ordered wine, we were trying to decide between two bottles, both in the $50 range. Our waiter twice tried to upsell us to a bottle over $80 that is not even the same type of wine. This is very rude on the part of a waiter who at this point didn't even know what we were ordering and kept flipping back and forth in his notebook... looking for what I'm not sure. We had two people at our table who spoke little English and our waiter was condescending, rolling his eyes and making rude facial expressions when translating was going on. After we ordered he never once came by to check on our meals. I finally had to wave down another waiter to ask for water for the rest of the table and tea for one person in our party. The food was also not what I am used to when dining here. My chicken caprese had no mozzarella even though it clearly states on the menu that it has mozzarella, my husband's pesto pasta was dry and not warm, the steak ordered by one person in our party was so well done it resembled jerky. The waiter came back to ask if we wanted dessert when two people at our table were in the restroom. We said we weren't sure yet, he never came back to ask again. I'm hoping this was just a bad night in general, it wasn't that busy for a Saturday but with the number of great places to eat in the Spectrum I'm not sure if I will be returning here. Everything was so perfect!!! The salmon over lemon garlic capellini was exquisite!!! I could order that every day!! Service was impeccable and the decor and ambiance was fabulous..I feel like I was in Italy! Bar service was great. But good luck sitting in the patio. They forgot about us and never took our order until we approached them. Great food and service. I would recommend Brio in Spectrum. Irvine to my family members and Friends. I met my parents here for dinner, the Spectrum is half way between their house and mine. 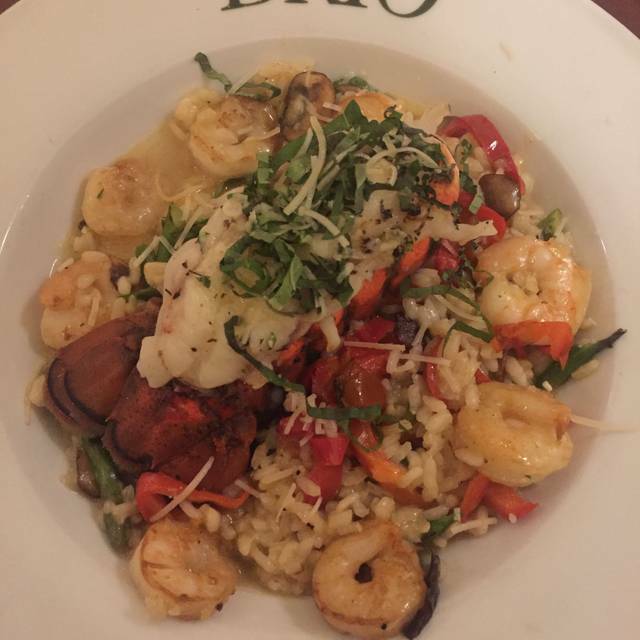 It was our first time to Brio, and I already can’t wait to come back. We sat in the patio and had Gabe as our server. Not only were the food and drinks amazing, but the service we received that night was truly amazing. We were there for almost three hours just catching up and at no point did we feel rushed. Gabe and all of the waitstaff that we encountered were all professional and helpful. 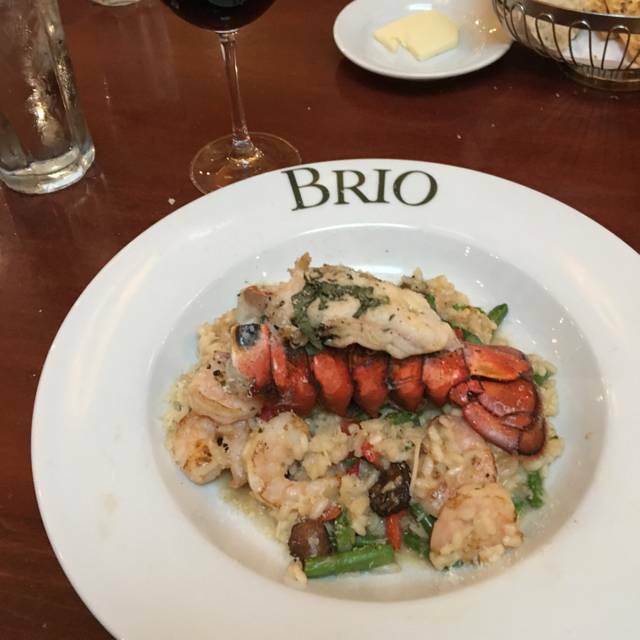 Brio is by far the best culinary experience at the Spectrum, and from my family and I - thank you. Great food and service, our server was Michael form Vermont. Brio has been a family favorite. However, our last experience was very disappointing. We all ordered Salmon which was very hot, however the vegetables and potatoes were ice cold. We told our waiter and 7-10 minutes later he brought us a hot vegetables and potatoes....unfortunately we had eaten our salmon. Our waiter didn't seem to want to take our entire dish back and give a complete hot meal. I won't be going back any time soon. After being seated by hostess waited 10 mins then found hostess again and asked for water and a water. The bread when placed on the table was horrible, the flat bread was stale, and the slice of italian bread was under cooked. When dinner was served it looked good, however the medallions of tenderloin for my wife was so salty it was impossible to eat, I tried a bite and had to spit it out. My chicken was ok but there were more watery mashed potatoes than anything else on the plate. The mixed vegetables on my plate consisted of 95%roasted carrots and only 2 bites of broccoli. My wife did have a mixture of vegetables on her plate. The cheesecake tasted like something they had just taken out of the freezer, with mushy crust and bland flavor. The seat in my booth was split open about 6 inches long and the stuffing was actually exposed, not much pride in their establishment. Not worth the time or taste. 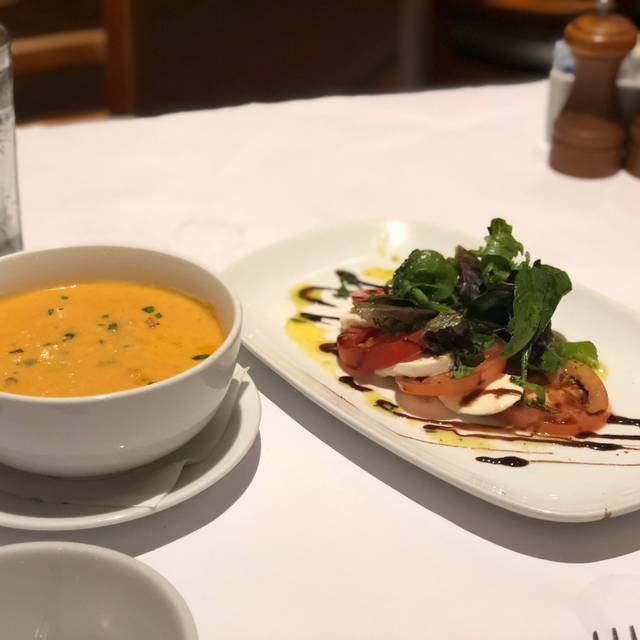 We had another fun and delicious dining experience at Brio with a longtime friend. Overall very nice; food really salty. excellent food, my husband wants to go back esp for the capaccio. Great service from Joshua. We'll go out of our way to come back because the food is just THAT GOOD! Our waiter was great; recognized us and gave great service. We tried new things on the menu which were passable. wish they had more wild caught fish. Great service, food and ambiance. 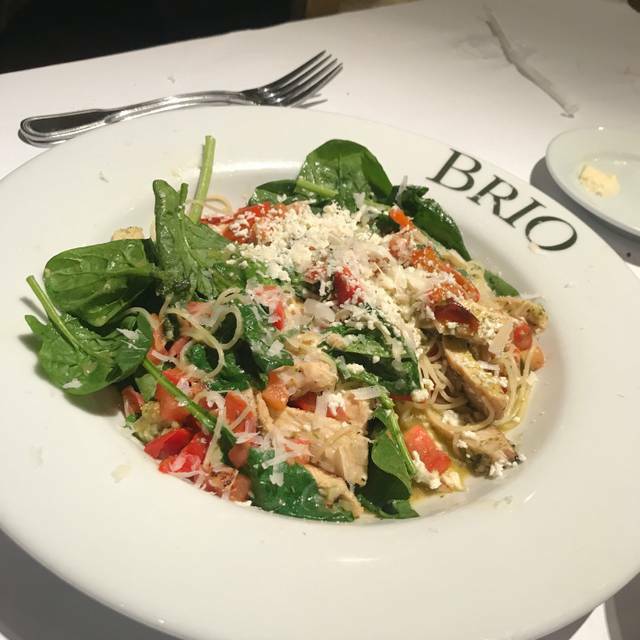 I recommend Brio. We waited for about 10 minutes at the front before someone will acknowledge that we were there. Then they couldn't find our reservation in their system because we waited and our reservation was cancelled in the system. They need to figure out their reservation system. Once we sat down, our waitress was very nice and got us our order right away because we had a short time to have lunch before returning back to work. Had a great group lunch here. 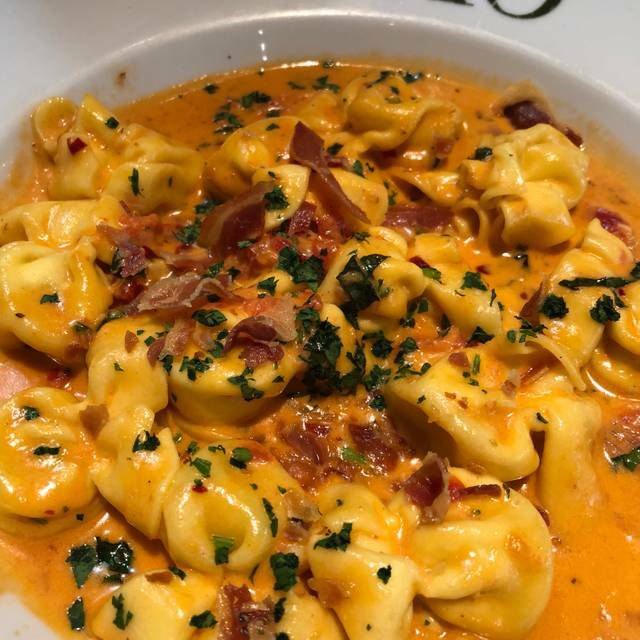 The pasta alla vodka is absolutely incredible. I haven’t stopped thinking about it. The rest of the food looked good and everyone was happy. Went to meet with dear friends for dinner. Menu has enough variety to please everyone. We ordered four different items (including a gluten-free option) and everyone was happy with their food. Our waiter was very accommodating, and we had a wonderful experience. Definitely worth a visit. Ordered gluten free pasta and when served, asked if gluten-free and server said no. Server returned with supposedly gluten-free pasta that was mushy and not able to ascertain the shape. We had to leave to take conference call at office as was getting late. I was sick entire afternoon in bathroom. I think again I was served gluten pasta. I’ve ordered same dish at Boca Raton location without any problems. Will not return to Spectrum restaurant for fear of not getting gluten-free. 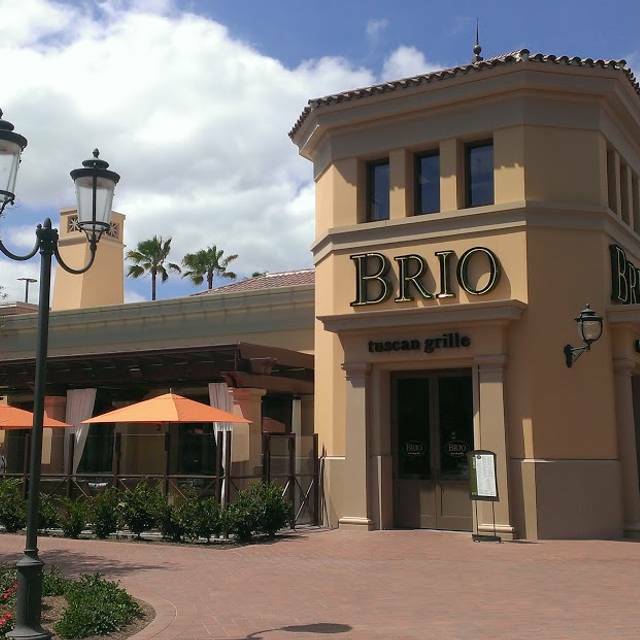 Brio used to be great for a chain restaurant. But, tonight, not so good. 1. Cocktails were badly watered down. 2. Entrees ok. Swordfish, beef medallions, shrimp pasta. Not memorable. 3. Vanilla ice cream free birthday treat: just a small scoop with no sauce or any presentation. 4. Server had to be asked twice to bring coffee; never brought dessert menu after request; restaurant not busy, so no excuse for poor service. Conclusion: mediocre experience; may never return. I believe there was only one server for the whole restaurant. I felt really bad for our server. She kept running back and fiery. Management fault!!! Excellent food and service. 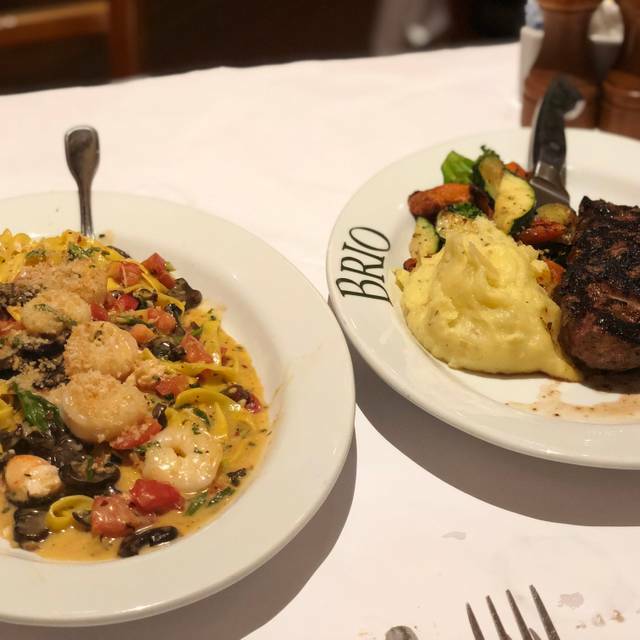 I would highly recommend BRIO. 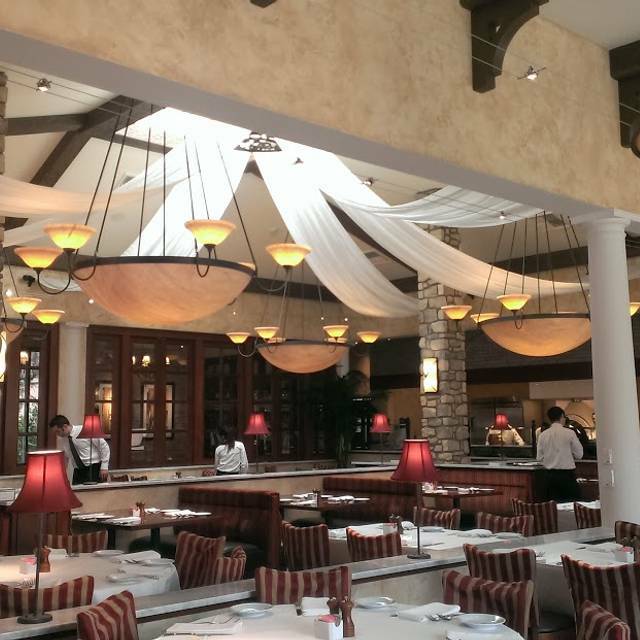 This was our first time to Brio Tuscan Grille. Overall we enjoyed it very much. The food was very good and the restaurant was really nice and very open. And that is also one of the issues. Because it is so open, sound carries and I found the noise level to be quite high. Not so much so that it affected the enjoyment of our dinner but louder than I would have liked. I would recommend the restaurant and I have given it an overall 4 star rating. once again a great evening at Brio. The meals were perfect and good overall service. It would have been perfect but had to ask twice to get a steak knife. It should have been brought out before my dinner arrived. Easy parking and access. Beautiful decor. Tasty food . quality service. We had a great lunch and I’m looking forward to coming back again. Dinner next time. Really delicious food! I arranged in advance for the restaurant to do something for a special birthday celebration. I also reminded our waiter, who acknowledged that he had my request. Not only did they forget the birthday treat, but the food was salty and the pasta was overcooked. My husband sent his meal back because it was cold. We were very disappointed with Brio. Waiter was little odd. Not very attentive. A couple large tables there late were quite loud. Other than that the ambiance was nice. Very nice meal after a long trip. The food was excellent. Too bad we had very young children on either side of us. They were a little noisy. The waiter could have been a bit more attentive, but it was OK.